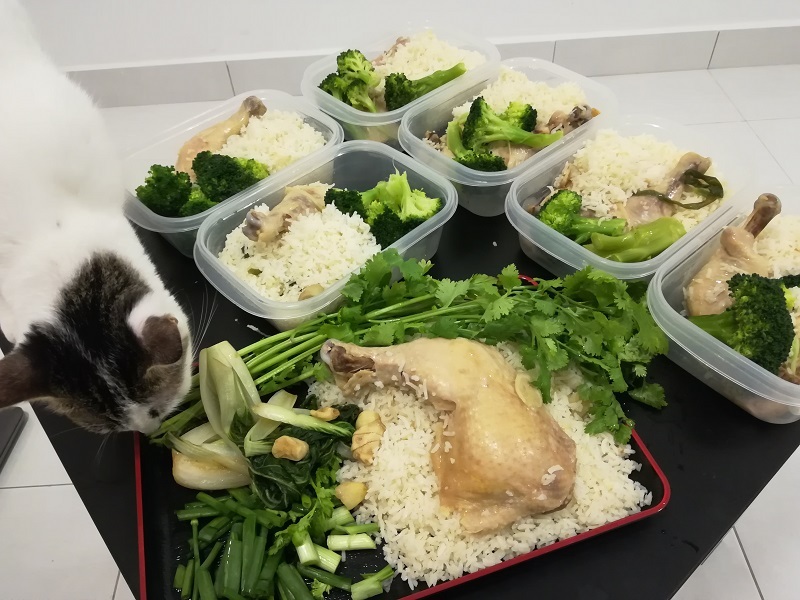 I have had the craving for chicken rice for a week now but I had to finish my meal prep before I can cook a new batch of food. I also didn’t have a rice cooker. I needed a big one coz this recipe chucks everything – rice, chicken etc into the pot at once. 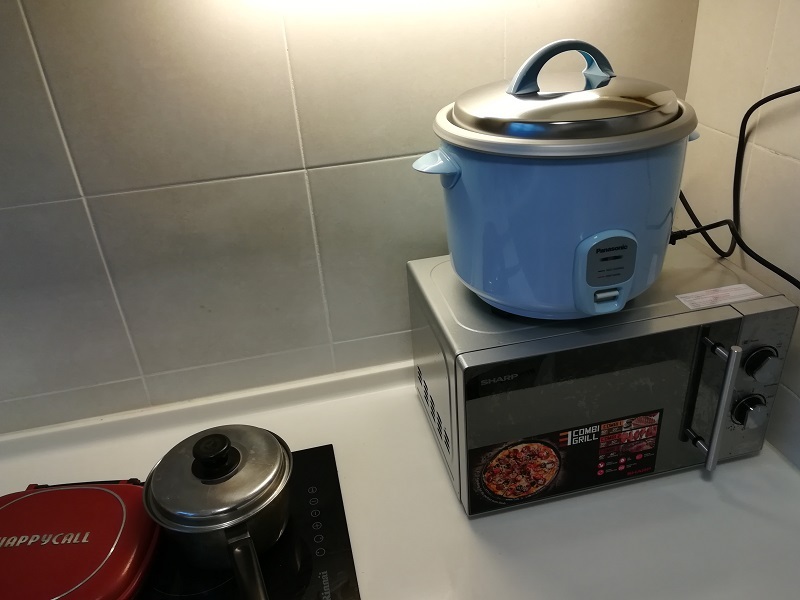 I dropped by Citta Mall yesterday and picked up a large 2.8 liter rice cooker for just RM 146. Good price. I also bought some side greens coz I want to consume enough fiber. It’s optional. 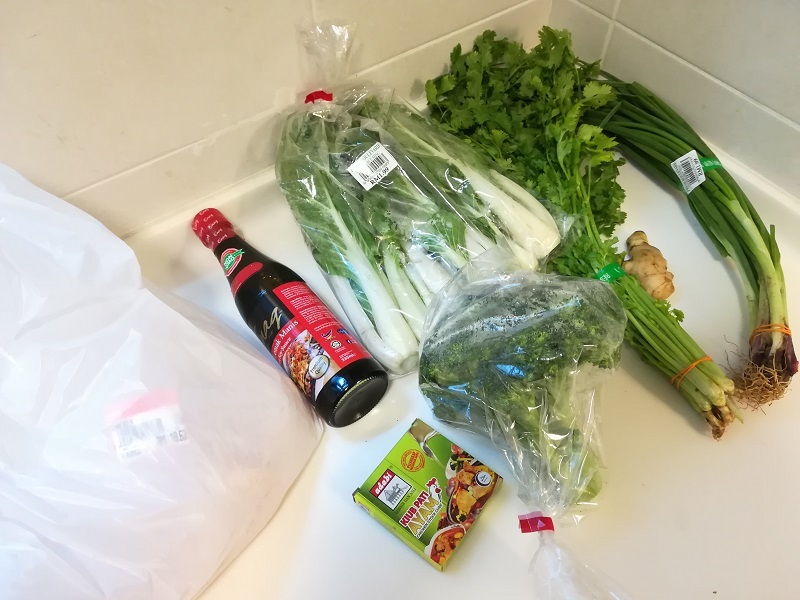 Some people like to eat this with a garlic chilli mixture but I’m particular to the sweet dark soy sauce from Indonesia so I got that inside. The prep is really easy, just wash the rice, put it into the rice cooker as if you’re cooking rice. 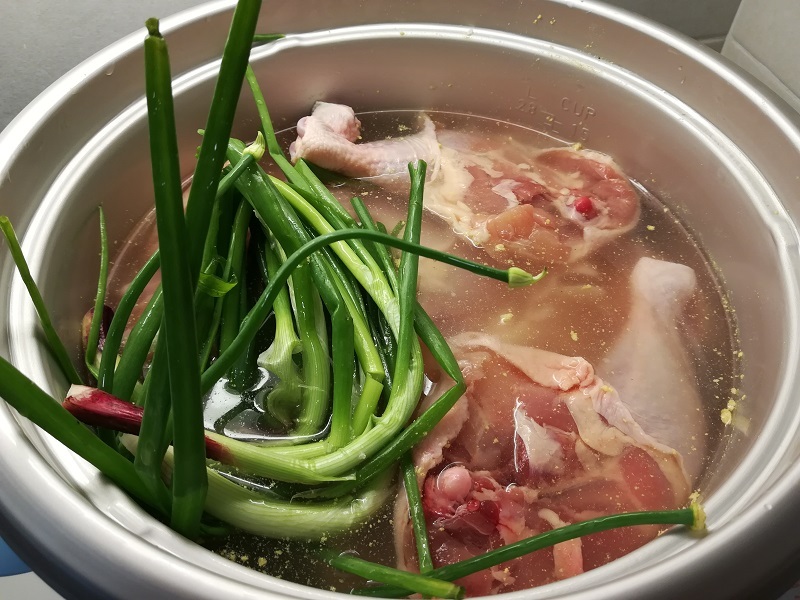 Next, salt the water and dissolve in a few chicken stock cubes. Spread the ginger slices all over the rice. Finally layer the chicken on top and put a few stalks of spring onions to add an aromatic note to the rice. Press the rice cooker button and the whole thing will be done as soon as the rice finishes cooking. 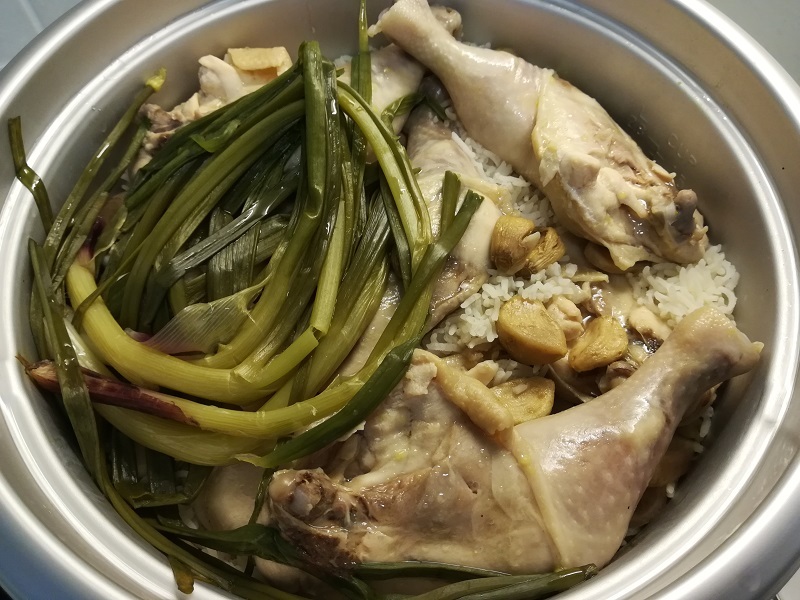 I usually eat skinless chicken breast but the chicken rice gets most of its flavor from chicken skin so I feel that using chicken leg is better in this recipe, even though it’ll increase the fat content by quite a bit. Some people also put a bit of sugar into the water but I don’t have any at home. I’ve quit eating sugar for almost a year now. It’s actually very delicious, yet simple to cook. I’m very fond of Hainanese style chicken rice though, so your mileage may vary. 1.8 kg of chicken leg makes 7 portions, each with a drum and thigh each. I’m not sure of the macros on these things though. I’m on clenbuterol right now so I can afford to be a bit fast and loose with my food intake, at least till I cycle off at the end of the week. HB, it’s really good to see you back at sixthseal.com. Looking forward to reading more of your interesting posts. Happy new year! Thanks Ken! Happy New Year to you too! That’s delicious and sounds easy to cook them. You packed into boxes for home delivery?? Nope, I packed into boxes to put into the refrigerator. I only cook once in a few days. The other days I put the boxes into microwave to heat up and eat that instead. It’s actually quite good.